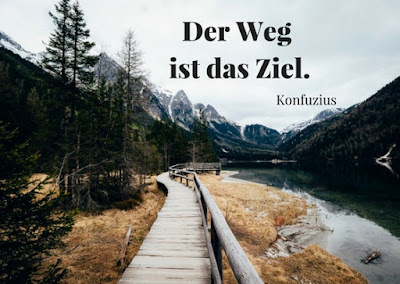 In the years when I lived in Austria, I used to see a popular bumpersticker that read: “Der Weg ist das Ziel” — “the way is the goal.” This statement has been attributed to Confucius, although it might sound like the motto of a postmodern German relativist who does Yoga on the weekends and, having spurned the Cardinal Marxes of the world, directs her church tax to the upkeep of the EU. If, moreover, one is fortunate enough to have an Audi, a Mercedes, or a BMW, as many Germans and Austrians do, one might be tempted to drive with no particular goal in mind. But here I should like, perhaps unexpectedly, to suggest that this motto admits of a special application to Catholic liturgy. Unlike a business trip where the whole point is to get to a meeting or conference and the journey stands somewhere between a necessary evil and an inconvenience, liturgy is not just about getting a certain result or outcome. “Results” there may and should be, of course: Holy Communion may be consumed, a newly-wed couple may walk out of the church, a new priest may step forth into the sunshine, a body may be carried off to the cemetery. But such results do not exhaust, much less cancel out, the intrinsic reasons why we worship, and the inherent needs and demands of that worship. Liturgy — the formal, solemn, public cultus of God, wherein the Church, on behalf of mankind and all of creation, adores, blesses, glorifies, and gives thanks to the Most Holy Trinity — is the reason we do liturgy. The way is the goal. If liturgy truly is our participation in the heavenly worship of the angels and saints gathered around their High Priest in the sanctuary not made by human hands, then we are participating in this heavenly worship now, and, depending on how we worship, will be participating well or poorly. Put it this way: what Our Lord expects of us in worship is not that we get something or get somewhere, but that we be a certain way in His presence, that we know and love Him in a certain way. This is the precondition for being fitted to receive any gift He wishes to give, most especially His Body in the Eucharist. In that sense, if we do not take seriously the way, we are not taking seriously the goal, either. We do not reach the goal except by the way thither, and, in the spiritual realm, our behavior or attitude on the way determines our worthiness or fitness to come to the goal. Liturgy mirrors our earthly pilgrimage. If we expect to come to heaven, the only determining factor is how we live our lives en route. It’s not as if we can live a slipshod life and die a godless death, and then expect to be rewarded for it with beatitude. It’s not as if we’re given another chance after death. The way we live is the way we die. If we live for God now, even the now that verges on death, we are already at the goal: union with God in love. As Pope Leo XIII says in his encyclical Divinum Illud Munus, the difference between a soul in the state of grace and a soul in the state of glory is the hiddenness of the presence of God: in this life His indwelling is invisible to us, while in the next we see Him face-to-face in the beatific vision. But in both states He is truly present in us, and we in Him. In a sense, then, one may say of the Christian life as a whole what one may say of the liturgy: the way is the goal. Where we see this truth most splendidly is the Divine Office, which is pure verbal incense, burned up in the presence of the Lord, and for His sake. This is not to say that we do not benefit from it; quite the contrary. St. Thomas Aquinas says plainly enough that since we cannot improve God by our worship, any benefits must accrue to us. But the benefit consists in the very doing of it, not in something other than the doing of it. Perhaps this is why the Office has fallen on such hard times: for pragmatic, utilitarian, materialistic people such as we modern Westerners are — even, at times, in spite of our best intentions — the Office fails to “deliver the goods.” Where’s the thing we get at the end of it? 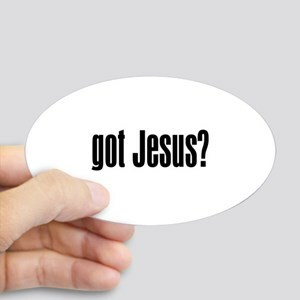 The ashes, palm branch, bulletin, anointing, host? We tend to look at the Office through the lens of the Mass and find it wanting, because it seems to be unable to compete with the sacramental results of the latter. What is needed, rather, is to see the Mass through the lens of the Office. We need to see the Mass as a sweet-smelling sacrifice of praise offered up in psalms, hymns, and spiritual canticles, thanking God for His great glory, adoring, placating, supplicating Him. Only after that does it make sense to see it as a banquet to which we are invited. We are invited to a sacrifice of which we may then partake if we are properly disposed; we reap spiritual fruit in proportion to how well we have been prepared by the very liturgical action in which we have participated. Some weeks ago I published an article here entitled “The Continual Spectre of False Antiquarianism,” in which I expressed my amazement that there are Catholics who, having been exposed to the traditional liturgy or having some awareness that it exists and is richer than its streamlined modern counterpart, still seem to shrug their shoulders and say, in effect, “it’s not such a big deal.” Arguably, a precondition for arriving at this stance is the implicit or explicit acceptance of a reductionistic conception of the Mass that equates it with the consecration: as long as we have Jesus in the Eucharist, that’s all that matters. It sounds plausible, and yet it is not, for several reasons. The Mass is not a utilitarian process designed to maximize the efficient delivery of goods. The Mass is not, as such, a communion service. It is a complex ceremony of repentance, adoration, petition, and thanksgiving, with a sacramental sacrifice at its core. It was given to us by our Lord and His Church as the highest form of prayer, which prepares for, culminates in, and gives thanks for the gift of His Most Holy Body and Blood. It does not begin and end with that gift. So, the first problem with the Novus Ordo Missae is that, given its very content and ceremonial, it tends not to cultivate and prompt acts of repentance, adoration, petition, and thanksgiving nearly as well as the old Mass does. The next problem, intimately linked with the foregoing, is that it does not prepare us for the reception of the Most Holy Eucharist as well as the old rite does. Hence, it falters even if we view the Mass under the more restricted aspect of being an opportunity for sacramental communion. Think of it this way: If you were Mary of Bethany, sitting at the feet of Jesus and soaking in His words, would you want to sit there quietly, for quite some time, preparing yourself deeply for the spiritual marriage with Him — “the marriage of the Lamb is come, and his wife hath prepared herself” (Rev 19:7) — or would you want to listen for a few minutes, jump up, give Him a hug and a kiss, and be off to the next thing? Or worse, what if Mary greeted Him with a smile, said “Gotta do some stuff — be with you in a moment,” busied herself with a few chores, and then came back with hors d’oeuvres, in order to be “actively participating” in this colloquy? 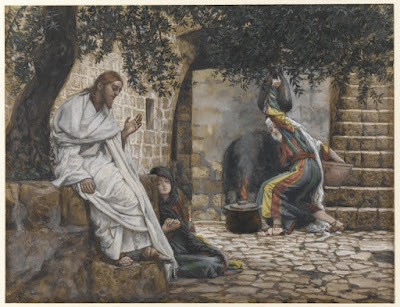 Meanwhile, Jesus patiently and humbly sits there, waiting until Mary will stop goofing around and sit down. In the contemporary Church, it’s mostly Martha, very little Mary; mostly busyness, little contemplation; efficiency, in place of wasteful love. Beyond this devotional angle, we must consider the Mass in its diachronic continuity. The Mass is handed down to us from apostolic tradition, developed over the centuries of faith by the real devotional life of the People of God. It is therefore like a living, breathing, growing organism, reflecting and, in a mysterious way, sharing in the divine and human life of the Son of God and of His Mystical Body. The Mass is something we gratefully and humbly receive, just as we do our human nature and our supernatural life in baptism. Thus, even if per impossibile the Mass were no more than a glorified communion service, we would STILL have no right, no business, deconstructing and reconstructing the Mass of the Roman Rite, an inheritance the Church always considered it her duty to guard and protect. In short: the Mass is not just about communion. It is a many-sided service of prayer, part of which is a careful preparation for communion and thanksgiving for it — and it is a prayer handed down to us along the line of the apostolic tradition to which we belong. For both of these reasons, a stripped-down, heavily redacted, modified, and innovated rite of Mass is a bad thing for the life of the Church and the life of individual Catholics, regardless of whether or not the consecration is valid. Let us consider this fact. It would have been a lot “simpler” if Jesus had remained among us under His natural appearances until the end of time. He surely could have done that; the Ascension was not necessary, in the strict logical sense of necessity. He chose nevertheless to depart and to communicate His grace and truth to us in other ways — in specifically sacramental, liturgical, ecclesial ways, which therefore deserve our trust, our homage, our best efforts, and our gratitude. 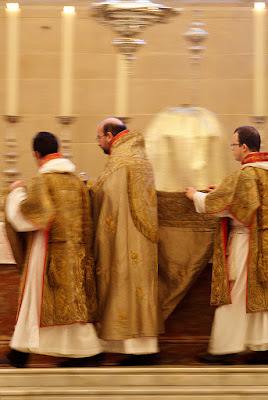 The liturgy is not a mere shell for the Real Presence, like a monstrance holding a host, nor is it a mere container for a product, like a tube full of toothpaste; it is the privileged way He becomes present to us and we to Him. And that way is not a modern highway along which we speed as quickly as we can to reach our exit, not paying much attention to the road; it is a path along which we are sanctified, prepared to reach our goal worthily. Allow me to draw out a corollary from the foregoing discussion. A liturgical rite is constituted by its particular texture and content of chants, texts, ceremonies, the language it has made its own, the stance of the priests, the motions of the ministers, and so forth. These things are not supplementary to or decorative of the liturgy; they simply are the liturgical rite. Thus, it can be said with precision that the Novus Ordo is not a form of the Roman Rite; it is not the same liturgy as the Roman Rite. For it is possible to have a Novus Ordo celebration in which almost nothing said and done is held in common with what is said and done in the Roman Rite as it historically existed: one can have different proper antiphons (or none at all), different orations, different readings, a different anaphora, the contrary stance of the priest, etc. ; and even if all of the “right” options were chosen, they remain essentially “at option” and thus not inherent and constitutive of the rite. If such a position were true, the ultimate Novus Ordo — the Novissimus Ordo, as it were — would start off with a priest standing over bread and wine, who, right after a greeting, immediately says the words of consecration, distributes communion, and closes with a blessing. Over and done with in less than three minutes (particularly if armies of EMHCs are called upon), and, don’t you know, “we’ve got Jesus.” What more could we ask for? Our Lord Himself gives us the kernel of a response: “I came, that they may have life — and have it in abundance.” This abundance is the mysteries of His human and divine life, unfolded and elaborated, made real and present for us, in the sacred liturgy developed and delivered over twenty centuries. The children of the Church should settle for nothing less, as they continue to resist the reductionism of the liturgical reform. See “The Priority of Religion and Adoration over Communion,” NLM, October 9, 2017. For more on this point, see “The Long Shadow of Neoscholastic Reductionism,” NLM, July 3, 2017; cf. “Is the Mass ‘Just’ the Mass?,” OnePeterFive, February 3, 2016. Readers may charge me with being unfair by suggesting that Catholics who frequent the Novus Ordo have this mentality. But I have heard this countless times in discussions: If the Eucharist is present, what more do you want? What more do we need? The fact that this is such a common reaction suggests a systemic problem in the way of our thinking, since the Church has never held to such reductionism. For a detailed exposition of the claims of this paragraph, see the five-part series at NLM: “Time for the Soul to Absorb the Mysteries” (all links available here), and “Bad Liturgical Parenting,” OnePeterFive, November 8, 2018. See “Priestly Preparation Before Mass and Thanksgiving After Mass,” NLM, September 28, 2015. See, for an application to the usus antiquior, “Two Modest Proposals for Improving the Prayerfulness of Low Mass,” NLM, November 12, 2018. Indeed, it would be even “better,” from this reductionist vantage, for a priest to consecrate a bushel or two of hosts at a given location, and then to allow lay ministers to distribute communion daily for the next several months. This would at once solve the problem of the priest shortage and empower laity with new forms of active participation! Absurdity aside, what we see is that the Catholic Faith demands the figure and function of the priest to remain what it is and to carry on the worship to which we are deputed in our baptism. Therefore, we are obliged to seek the liturgical form that most fully reflects the sacramental identity and unique activity of the priest, and to resist anything that dilutes it or farms it out to those to whom it is foreign. Visit www.peterkwasniewski.com for information, articles, sacred music, and Os Justi Press.